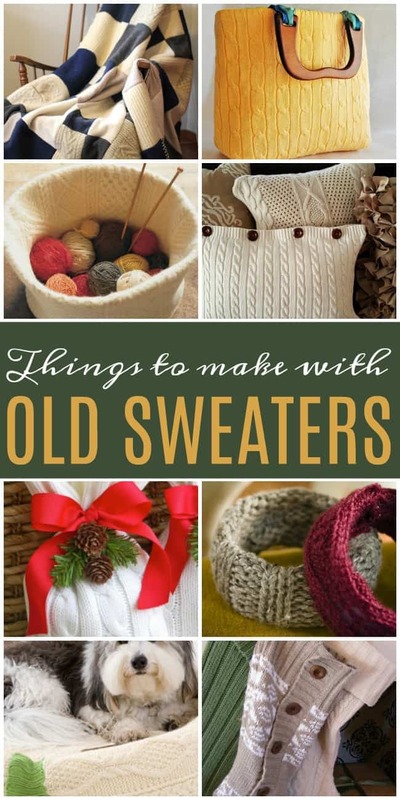 Don’t throw out those old sweaters! Learn how to make new things from them with these awesome DIY ideas. Every fall or winter, you pull out your old sweaters to see which ones need to be tossed out but this year we are pulling them out to see which ones we can turn into something new and fabulous. I’m not sure you can wrap up a hosted gift any cuter than these Christmas treat bags. Love them! 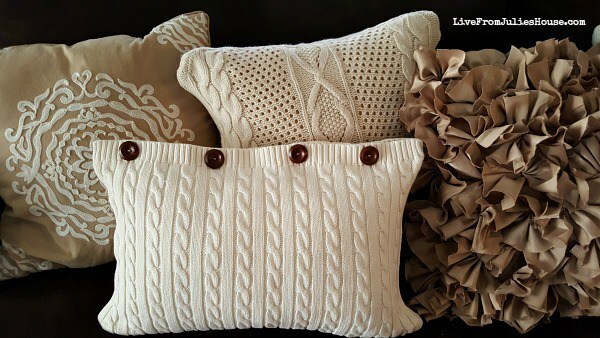 If you are looking for the perfect cozy pillow then using an old sweater to cover one is the answer. 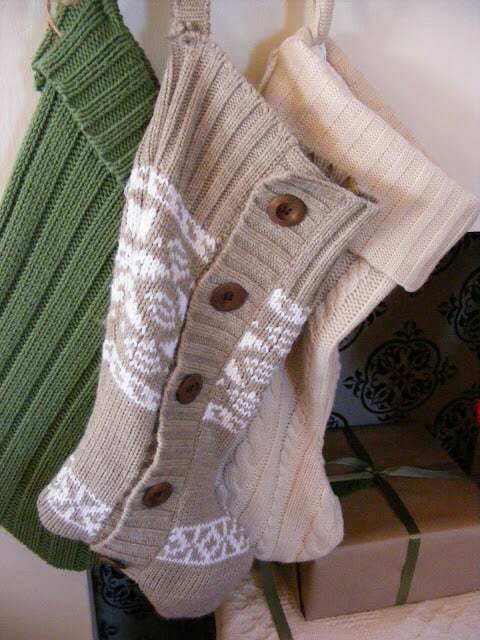 No need to purchase expensive stockings when you have some old sweaters already on hand. 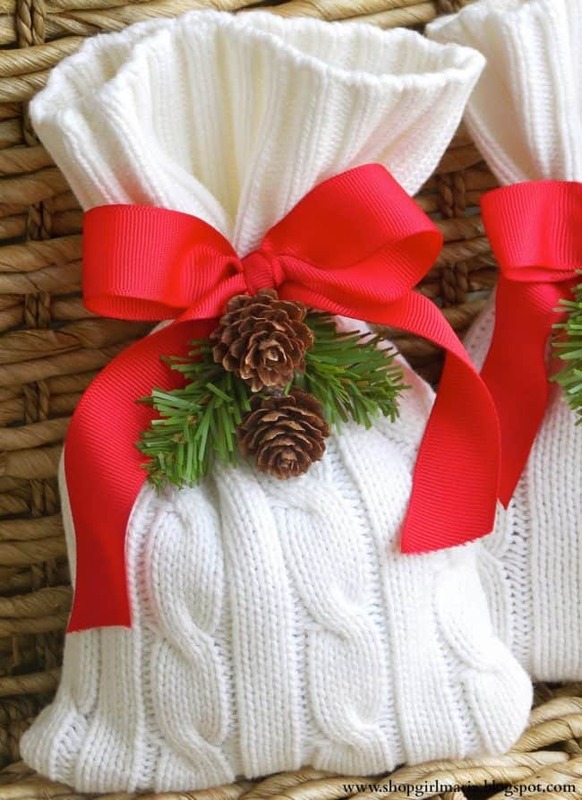 These make the cutest stockings I have seen around. 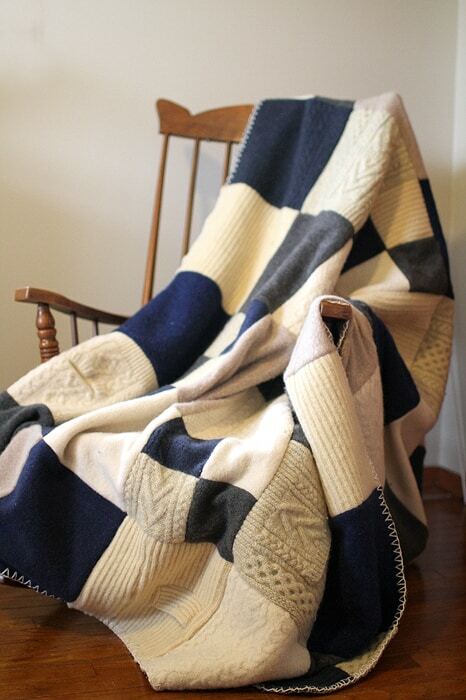 Snuggle up this winter with a blanket made from your favorite old sweaters. 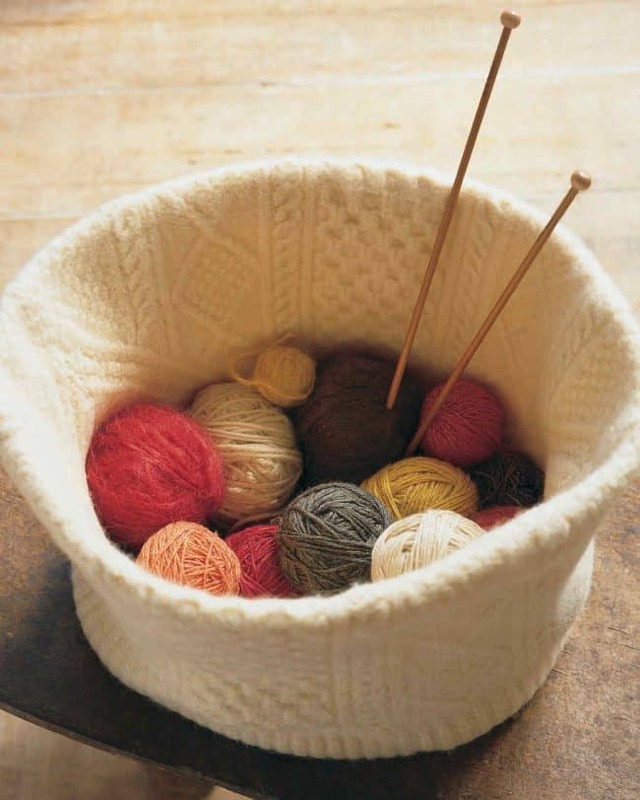 How about creating one out of sweaters you have collected from your loved ones. I think that would make a lovely item to pass down from generation to generation. 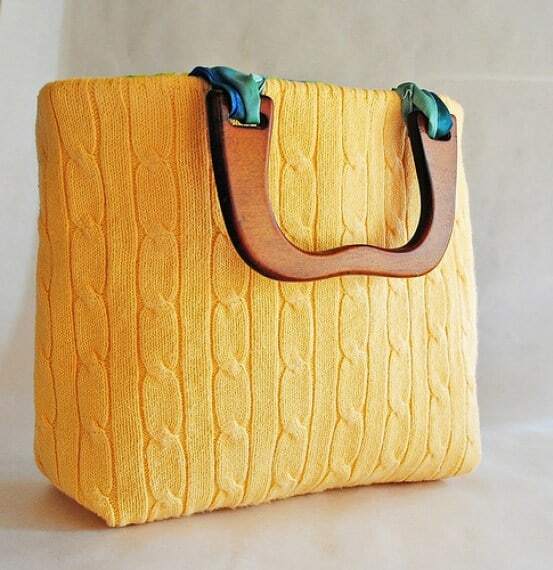 Turn your never-worn sweaters into fun sweater bags and totes. Knit a sweater heart for the tree! 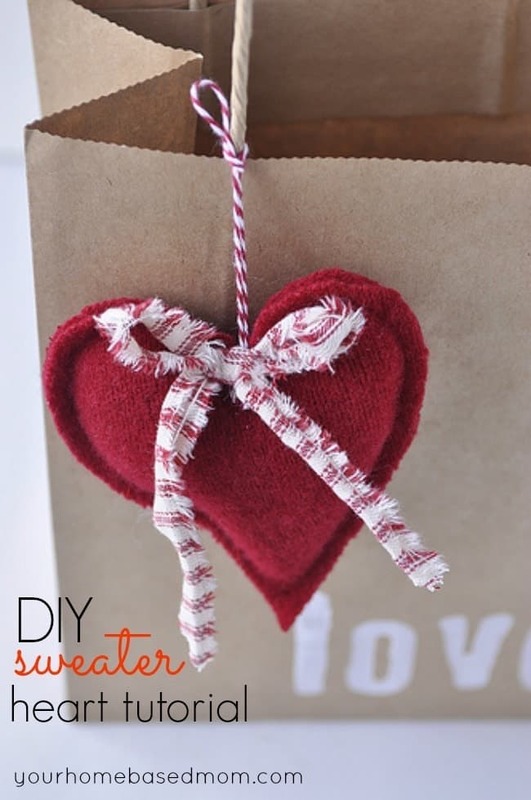 This darling sweater heart ornament has a girlie look and is a nice gift for a special person. 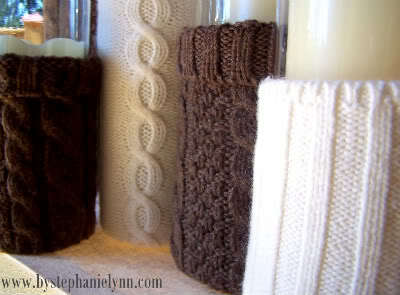 Make any room even cozier with these knit candle cozies! 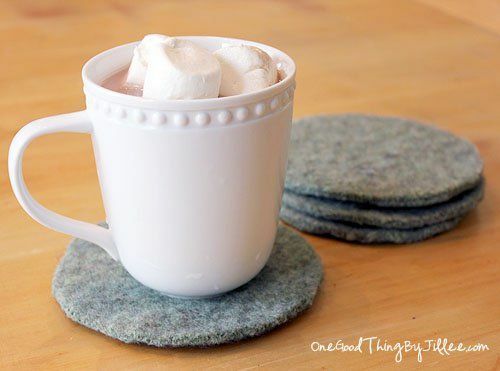 Set your glass down on these cute (not ugly) sweater coasters! Can’t think of a way you would want to use an old sweater on yourself? Well then, what about on your best bud. 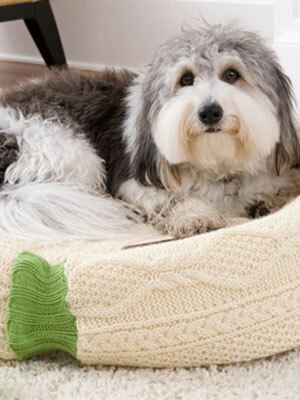 These sweater dog beds are the cutest and make a great snuggly bed for your pets. 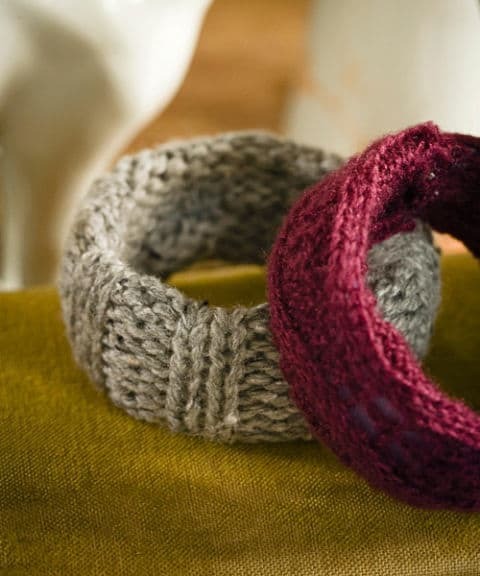 Basic bangles get dressed up for the season with your old sweaters.